Three languages, one church (reporting from Chicago). Churches That Work. 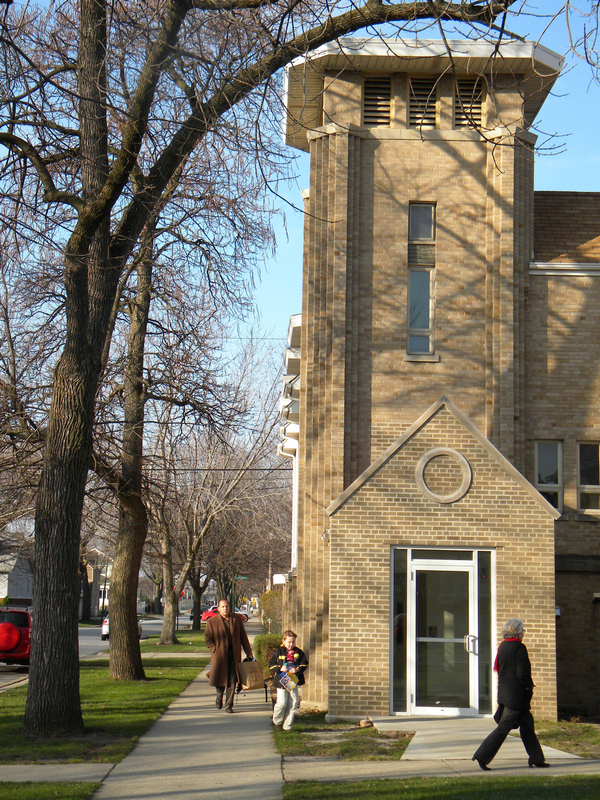 CHICAGO – It’s the Bible class hour on Sunday morning. A half-mile off busy Interstate 94, in a working-class neighborhood lined with bungalows, a woman walks her dog. A teenager rides his skateboard. Inside the Northwest Church of Christ, a two-story brick building with red carpeting and wooden pews, deacon Rene Torres Jr. teaches Spanish-speaking adults in the auditorium. Downstairs, elder Alan Bain unrolls a colorful map of Old Testament times as he makes a point to the English-speaking adults — white and black — seated in a circle. In a nearby classroom, a handful of Korean speakers, led by minister Paul Chae, sit at a table with their Bibles open and coffee and doughnuts in their hands. Upstairs, 7-year-old Joon-Seo Choi and two girls with bows in their hair draw pictures and play with Bible character cutouts in the elementary-age class. “It’s all Koreans today,” says teacher Michelle Bain, Alan’s wife. Anchor for his soul: NBC’s Lester Holt reflects on faith and journalism (reporting from New York). Second Front. Faith and flicks: Christian films gain a following (reporting from Menomonee Falls, Wis.). Inside Story. Membership decline is No. 1 story of 2009. Second Front. Remembering 2009: Quotes of the year. Currents.